The things we have in common are the things that will save us. These days the world feels more divisive than ever. We think this is about politics, but it is actually deeply engrained in our everyday lives. In marketing, we are taught to see others as “the competition,” and to differentiate ourselves from them. In day-to-day life, gossip makes us feel superior to those “other people” about whom we are telling tales. In workplaces and neighborhoods, we have all sorts of reasons for mistrusting and disliking not just individuals, but often whole families or teams. Yes, we are all different from each other. But we are also very much the same as each other. We all feel the need to belong, to be loved, to be accepted for who we are. The more we can identify what we have in common, the more we are able to accomplish – together. When President Clinton’s domestic policy advisor, Carol Rasco, was asked how she got so many programs passed within a politically divisive environment, she replied, “At every turn, I saw my job as finding what we could all agree upon.” Listen to the full interview here. If we are going to bring out the best in any situation, that is where it all starts. What do you have in common with that person? Do it right now. Think of someone you vehemently disagree with. It could be an argument with your spouse, or an elected official taking a stand on an issue. It’s easy to find the stuff you do NOT have in common. But dig deeper. Do they love their family? Do they fear for their family’s safety? Have they felt the pain of losing someone they love? Do they want their children to grow up strong and healthy? 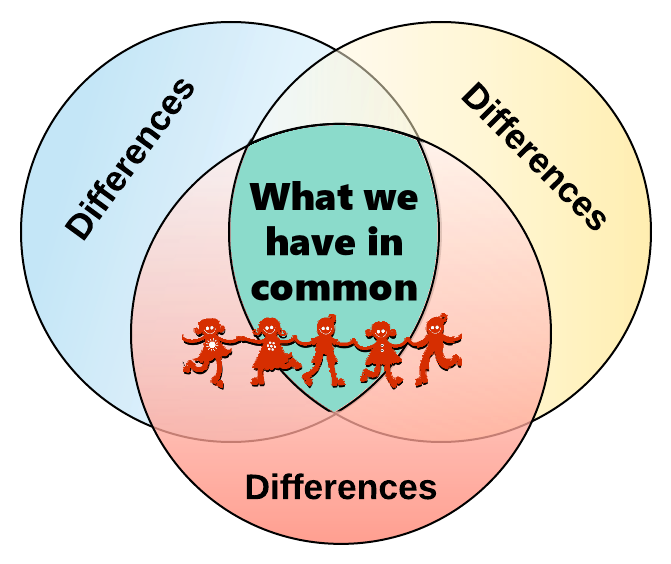 Identifying ourselves solely by our differences has led to the mess we see around us in the world. And as Carol Rasco noted in the interview here, the only way to move toward our potential is to ask the opposite question. Seek that. And if you don’t immediately find it, look harder. It’s there. You just need to train yourself to listen for it. That is why Catalytic Listening is the first step – and the ongoing step – in the Catalytic Thinking framework. NOTE: There is one seat left in our upcoming Catalytic Listening Online Immersion Course. Information about that course is here. If you’re curious about this course – or any of our courses - just hit reply to this eJournal and let’s have a conversation!